"Try to navigate out of a post apocalyptic water world." 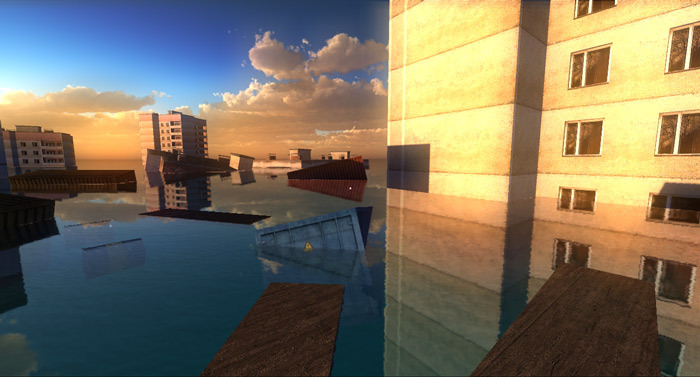 Lone Water: Prologue sees you living in some post-apocalyptic universe where everything has been totally flooded and most of the world except for your base is now lying underwater although there is a lot of debris lying around and you must use this to go on your journey by jumping from oil can to floating semi-truck roofs and planks of wood among other things. 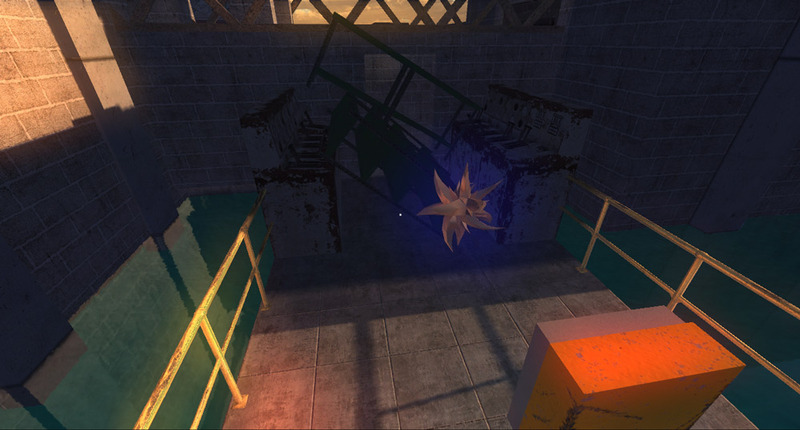 The game has some nice music playing and almost seems therapeutic…but it’s really not this game could almost be considered a rage game as every time you miss a jump or fall off a plank and in to the water you will be transported back to the start point and due to the puzzle elements of the game this is going to happen a lot. 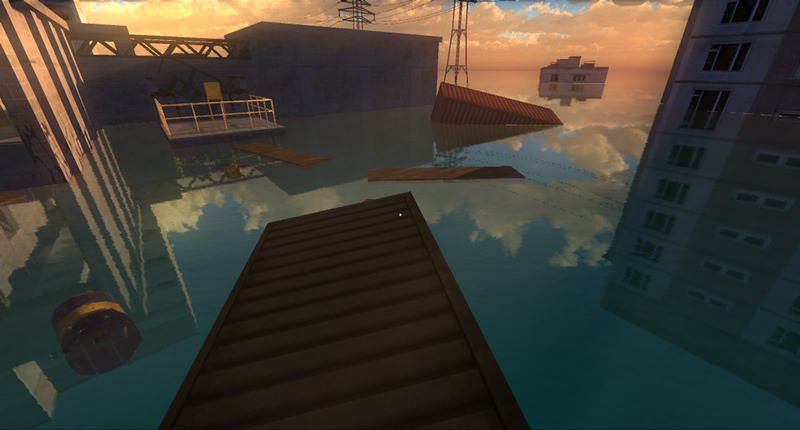 Playing in first person view can also make it quite hard to judge the distances and where you should stand to jump from one object to the next meaning that the flow of the game is broken up often however even with its rage inducing difficulty there’s something very peaceful and enjoyable about this post-apocalyptic water world, perhaps the calming effect of being surrounded by water but Lone Water is a pleasant experience at least when it’s not sending you back to the start over and over again. You can download Lone Water: Prologue here for free.